ASP National Officers and Board of Trustees had their first Strategic Planning Workshop last March 20, 2010. 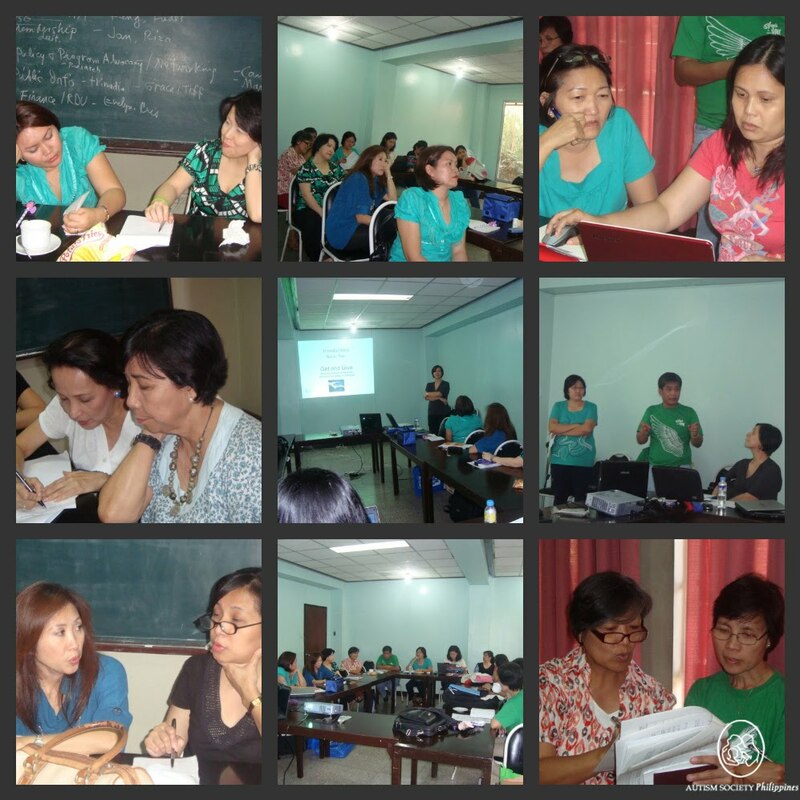 The workshop was held at Asian Social Institute, Malate, Manila. The Strategic Planning Workshop revisited the 2008 ASP’s Vision-Mission-Objectives. This workshop aims to help the board set priorities, create a fit between capability and desired outcomes. Part of the process is drawing up a feasible blue print, timetable and milestones in achieving the target goals..
ASP tasked Ms. Cecile Ruiz-Batalla to facilitate the activity. Ces is an experienced Executive Coach and Organization Development Specialist. She has been doing Human Resource, Organizational Development, research, training and consulting for the last fifteen (15) years. She is the co-founder and Managing Director of Living Tools. ASP Executive Director, Ranil Sorongon, concluded after the exercise that most of the targets and goals set were “over-achieved”. Other committee heads also delivered their project directions and accomplishments. We gathered all our experiences and collated all the lessons learned. “Hey, everyone deserves a pat in the back,” said one. “Let’s schedule that much needed spa!” came another. It’s important to celebrate our victories, to validate each other. But we were not content to sit on our laurels. The group continued working after a short lunch break to catch up on our personal lives. Moving to another room upstairs, the adjacent conference room was filled with graduates in their togas, parents with handy cameras, flowers and garlands in tow. This scenario is like ours. We graduate. But, we move to another level. We donned our thinking hats and went back to work. 1. To promote autism awareness to the general public and evoke positive acceptance of Persons with Autism (PWA). 2. To build the capability of communities to develop the potential and talents of PWA in a nurturing and supportive environment. 3. To participate in policy making and advocacy programs that advance the welfare and rights of PWA. 4. To ensure the financial viability of the organization in order to sustain and expand existing programs as well as support its growth as a whole. 5. To increase and retain members who are well informed, participative, and proactive in the education and empowerments programs for PWA. Within two years, ASP will work towards a tracking mechanism to evaluate projects and its impact on society and deepen team synergy behind agreed key actions and results. “It will be an enormous feat for me to lead this organization. But I firmly believe that together, we can all work as a TEAM, in order to pave way for a better tomorrow, for persons with autism and their families,” said Grace Adviento, ASP National President. The day ended with fervent prayers for the organization, and for others who were not with us to set new directions. We prayed hard for them, knowing in our hearts that dreams remain to be built and hopes remain to be shared. The strategic planning conference was attended by ASP National Officers President, Mary Grace Adviento; Vice-President, Perlita So; Secretary, Tiffany Tan; Treasurer, Evelyn Go and Auditor, Evert Malapad, Trustees Carmel Almendrala, Cristina Estampador, Fredeswina Javier andMariter Macapagal were joined by Chapter representatives, Riza Cansanay (ASP Laguna) and Jan Peña (ASP Cavite Chapters), ASP’s hard working Executive Director, Ranil Sorongon and supportive staff Lanie Casalme, ASP Bookkeeper, Admin Officer; Program Assistants, Cathy Genovia and Abby Mendoza and ASP volunteer, Angelica “Gel” Flores. ASP Strategic Planning Conference Part 2 continues on March 29, 2010 at the ASP National Office. Keep checking the blog for more updates on ASP programs and activities. Are you an Angel for Autism? Now is the time. Write us at autismphil@pldtdsl.net or call 926 6941 or 9298447.